Just five minutes' walk from Keswick town centre Watendlath Guest House is relaxed and informal. We have been awarded 4 stars from Enjoy England and our aim is to make your stay as friendly and relaxed as possible. 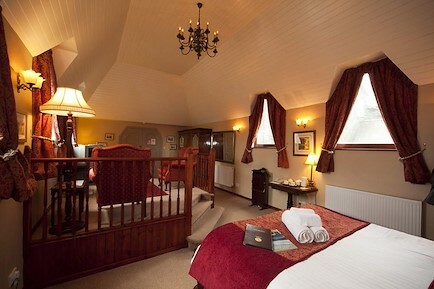 Our four guest rooms are furnished with en suite shower rooms. For extra comfort and warmth all our double beds have king size duvets and single beds have double duvets.There are two double bedded rooms and a family room with a double and single bed which can be used as a twin. We also have a large family room which has the benefit of two large windows making it very light and airy. It has a double and single bed in the main room and a further single bed through an arch making it ideal for a family or three friends sharing but requiring separate beds, it can also accommodate a cot. Secure storage and a garage for repairs for cycles and off road parking for motorcycles is available. We can dry your wet clothing, but don't forget there is no such thing as bad weather just the wrong type of clothes. Your enquiry will be sent directly to Watendlath Guest House. Please fill in as much detail as you can.